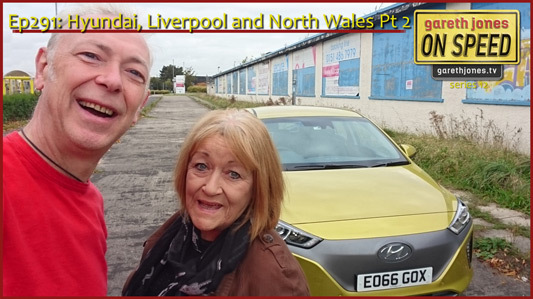 #291 Hyundai, Liverpool and North Wales Pt2. Gareth and Sue Baker test the new Hyundai Ioniq hybrid and pure electric version around Liverpool, north Wales and Cheshire. Is it good enough to take on the Prius and beat it? 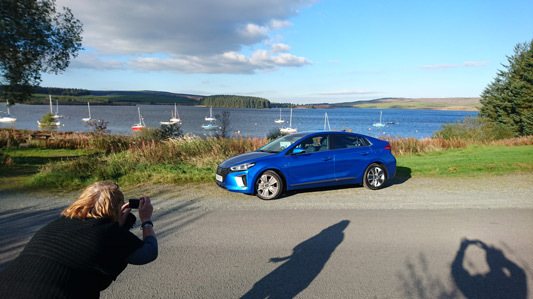 Gareth takes a picture of Sue.... taking a picture of the Hyundai Ioniq hybrid at Llyn Brenig.